We arrived in LAX after our trip abroad and were ready to get back on the road. We were fortunate enough that our good friend Omar was in need of an adventure. We joined forces and decided that we should tour the Desert SW back to our hometown Albuquerque, NM. It was late April, so we figured the weather wouldn't be too hot. We crammed all our gear in to Omar's Jeep Cherokee and began our to be 1,600+ mile road trip with 0 plans, but to have fun and explore new countryside. We left the first port city of Venice, CA, after some amazing surf and headed towards our first desert alien landscape. We entered the Joshua Tree orbit around noon. The first thing I would highly advise is buying the $80 America the Beautiful pass. It worked at almost every planet we landed on. We bought our pass headed to Big Rocks Campground ($15 per site). J-Tree is a mix of exotic granite rock formations and awkward Joshua Trees scattered throughout this bizarre landscape as far as the eye can see. This is a great place for rock climbing and Scrambling around. We explored and climbed around at the Hall of Horrors and Hidden Valley. We would definitely recommend these two spots. 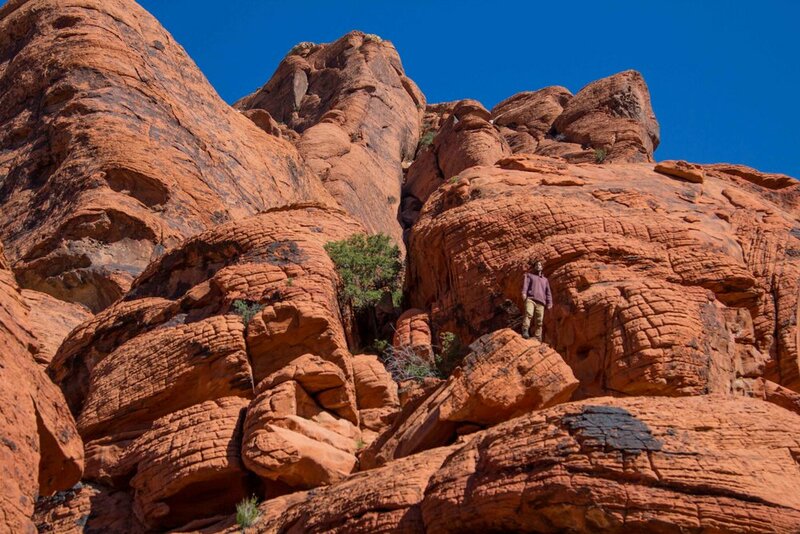 There is amazing rock climbing, scrambling, and photo options at these spots. That night we stayed up a bit for star gazing and photography, but were shut down by a thin as cloud layer. We woke up and cruised for a while on the Geology Tour Road to check out the park more, explore, and take some pictures. After about an hour or driving, we left J Tree’s orbit and blasted off to another dimension. 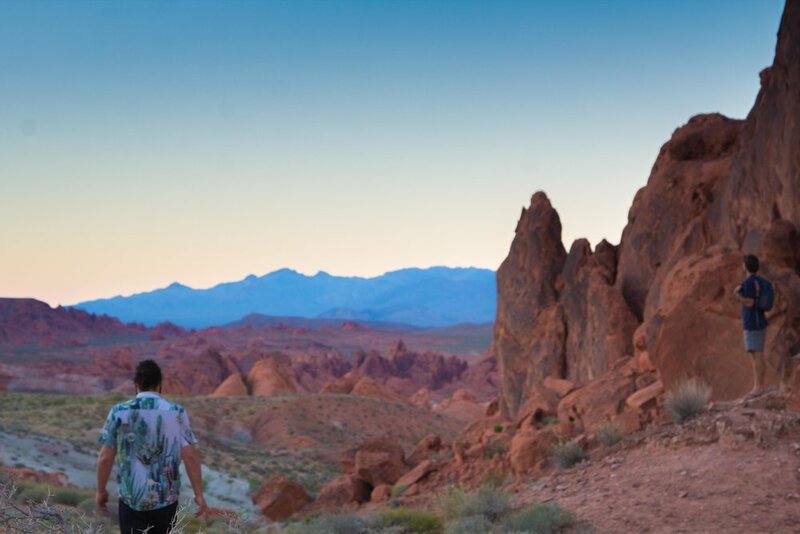 The Alabama Hills BLM land outside of Lone Pine, CA, is camping heaven. Upon surveillance, this alien landscape seemed to be something out of another galaxy. Amidst the enormous rock fields, stands Mt. Whitney, at 14,505ft, looming down on the valley below. ‘Bama Hills is on BLM land where dispersed camping is allowed. However, it is on you to clean up after yourself. There are no toilets. So, come prepared. After our first night of camping, we woke up and did the very short loop hike to the Mobius Arch. We then headed up to the Mount Whitney Portal to check out some hikes. After a heavy snow season, we were shut down pretty quick on the trails up at the Whitney Portal. We did learn that permits for hiking Whitney in the summer are required. So, look into obtaining one before you head up. After some 4x4 and beers, at an old cowboy bar in Lone Pine, we arrived at a very wind destroyed campsite. After getting camp set back up, we settled in for what was one of our windiest nights of the trip. We woke up the next day had breakfast and hit the road for a long haul to Nevada. We exited the Alabama Hills solar system and hit hyperdrive and time warped to a new desert planet. Death Valley is a drive through park, meaning a majority of the experience is driving through the park, at least in the summer. I could imagine some amazing activities in the other seasons. We stopped and made lunch at one of the first outpost we saw. It was already heating up and I couldn't imagine this place in the midst of summer. We set down our landing gear on the Beatty Sand Dunes and walked until the footprints started to subside it was already 96 degrees in late May. Down the road a bit is Zabriskie Point, which is an amazing overlook over the Zabriskie Badlands. There looks to be an amazing hike, if you were around in the fall/winter and it was cooler, but the heat was too much. So, we just took a few pictures and explored for a bit before we headed on. 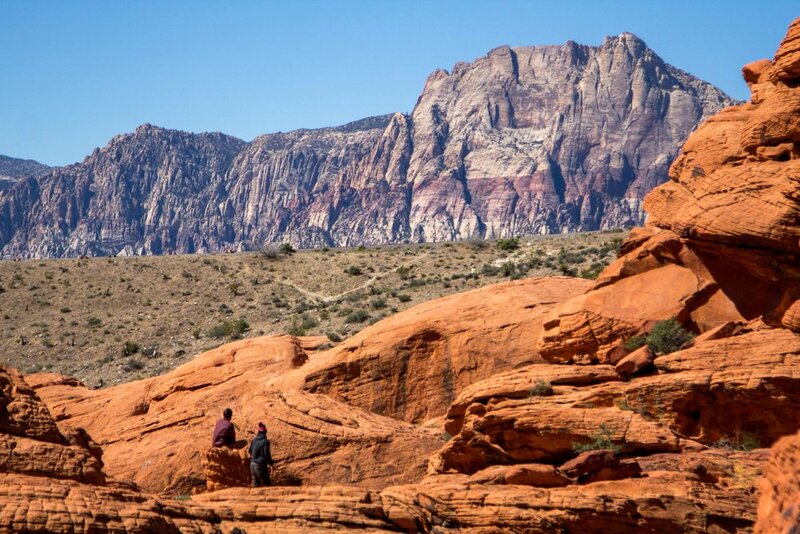 A few miles outside the bright lights of The Las Vegas Spaceport lies a gem known as Red Rock Canyon. The mars like terrain will have you feeling as if you were actually on the red planet. If you want to score a campsite at the Red Rock Canyon Campsite ($10 Per Site) you better be there early. We showed up and it was completely full. We ended up having some fellow travelers allow us to stay with them since they were just crashing in their amazing van. We got in set up camp cooked and had a good chat with our neighbors. We woke up the next day and headed into Red Rocks Canyon. We hiked around Calico Basin for about 3 hours climbing and scrambling around and getting lost in dark red slot canyons. We cruised around the park took in the views and started our auto pilot for Las Vegas. After indulging in provisions in the wild space port Las Vegas, it was time to set our sights on a new frontier. We set out for St. George, but as most vessels leaving Vegas, we had a very delayed take off. 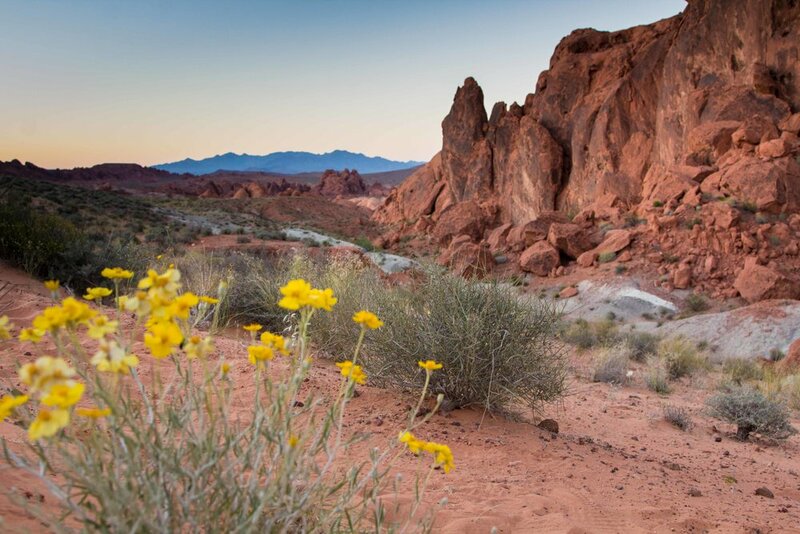 We headed toward Lake Mead and our radar picked up the Valley of Fire State Park. We decide to veer off track and check it out. We arrived late and the gates were open. Driving through this park seems like something out of the Martian. There seems to be lots of hiking activities in the park. Its even amazing just driving though it if it’s a blistering hot summer day. After little or no trip research, we headed straight to the Fire Wave. 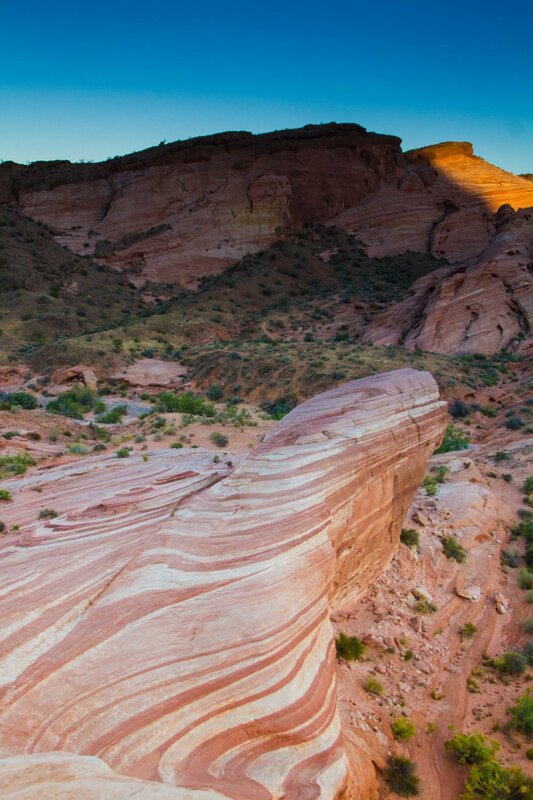 It takes about 20 minutes to walk to this rock formation with amazing rock coloring. We shot pictures until it was too dark and headed on. That night we slept in the middle of nowhere, where a dirt road ended, definitely the worst campsite of the trip, but it was free. We set up a quick camp and set out for the Hidden Canyon Trail. The Zion Canyon Road is only accessible via a shuttle system but it’s fast and effective. We took the Shuttle to the Weeping Rock Stop. 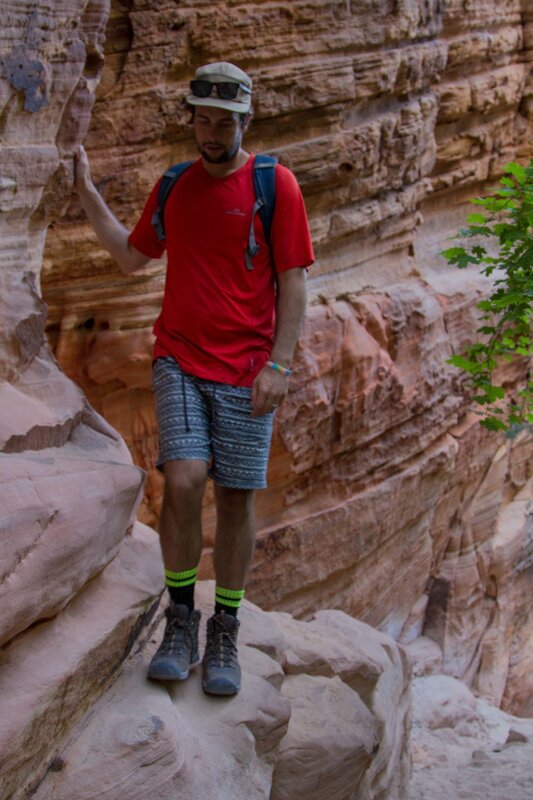 The hike up to the Hidden Canyon is an awesome track that exposes you to trails along huge cliff faces. 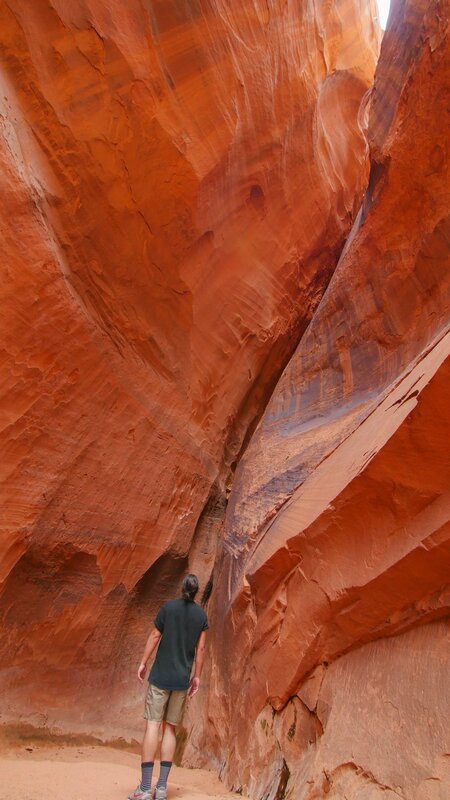 It is a climb to access the Hidden Canyon, but it’s not anything too difficult. We went up and back in about 3 hours. If we had more daylight we would have done the trail to Observation Point, which is supposed to be on of Zion’s best overlooks. We woke up the next day, ate breakfast and prepared snacks and provisions for Narrows and Angels Landing. Unfortunately for us, The Narrows were closed due to high water levels. We didn't want to hike Angels Landing in the middle of the day due to crowds. So, we hung out in the valley for a bit and headed to Angels Landing around 4pm. 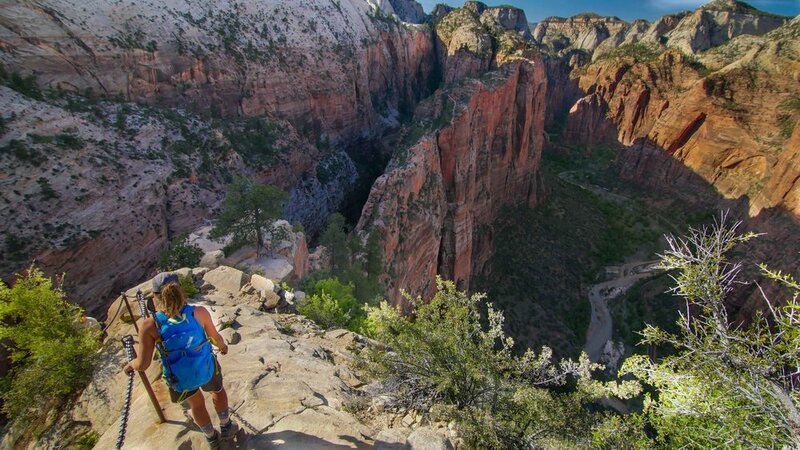 The trail to Angels Landing is 2.4 miles. It begins at the Grotto drop off point. The hike up to Angels Landing isn't too difficult it is all uphill, but it’s paved and it's a really nice trail. 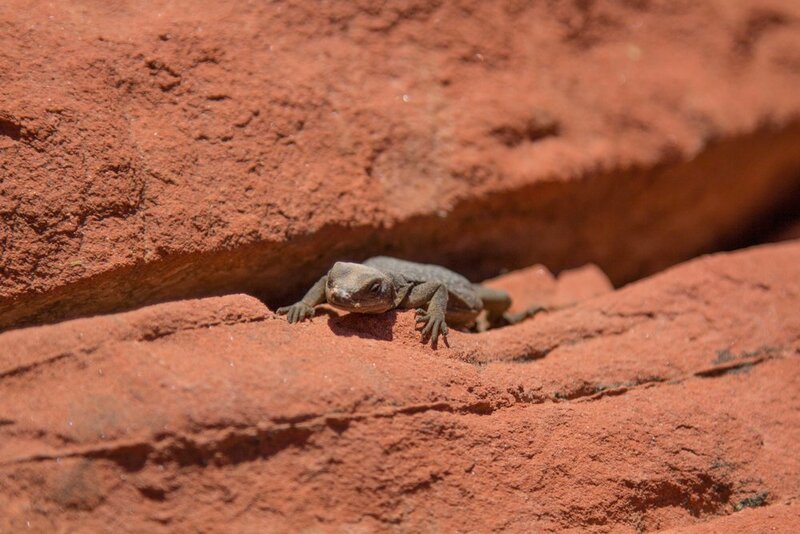 On the Angels Landing Trail, after you head up Walter’s Wiggles, if you have a fear of heights, you may struggle in points. You basically hike along a knife ridge, with the valley 1,400 feet below you, with only chains to hold onto. 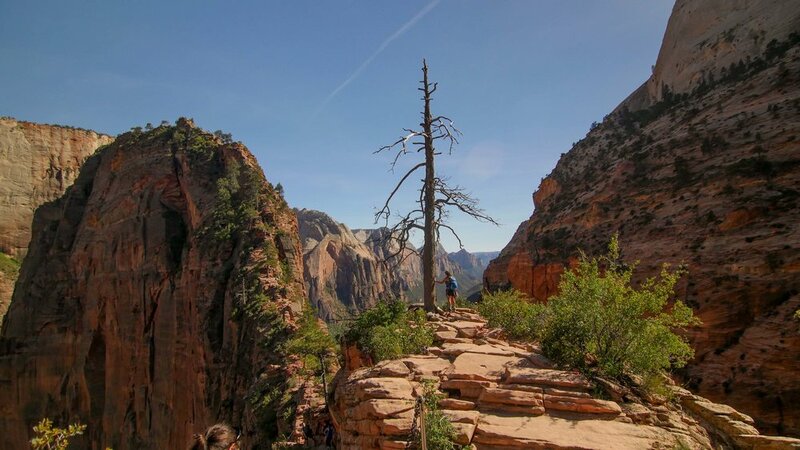 After a half mile of high risk hiking, you reach the 5,790 feet summit of Angels Landing and you will be glad you did this hike. The views from Angels Landing across the valley of the Great White Throne towering overhead are amazing. You will literally feel like an ant on top of this rock formation. 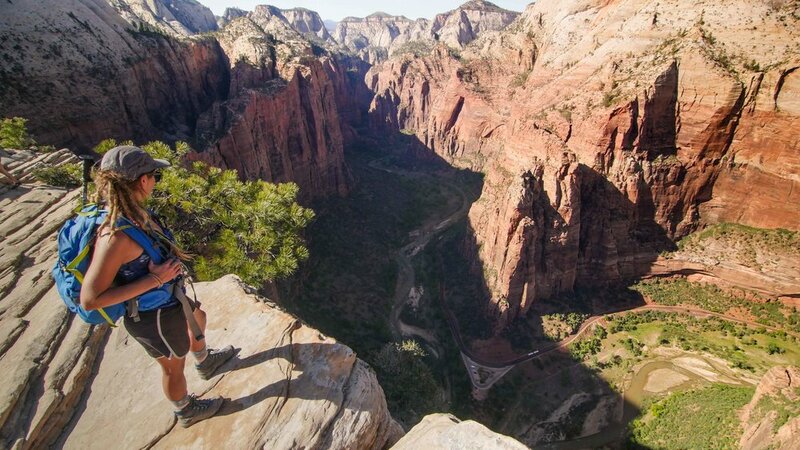 It’s a hike you will definitely want to do while in Zion. We headed down and luckily caught the last shuttle back to the campsite. We left Planet Zion late as expected with our Crew and set auto pilot for Bryce Canyon. We set up camp right outside of the park off of forest road 1173 where we saw other people camping. We set up camp rested a bit then drove into the park. We once again flashed our America the Beautiful card, that we already made our money back on, and headed towards Sunset Point. We started with the Navajo Loop trail that takes you down to the Valley Floor and up through Wall Street canyon, named for obvious reasons. 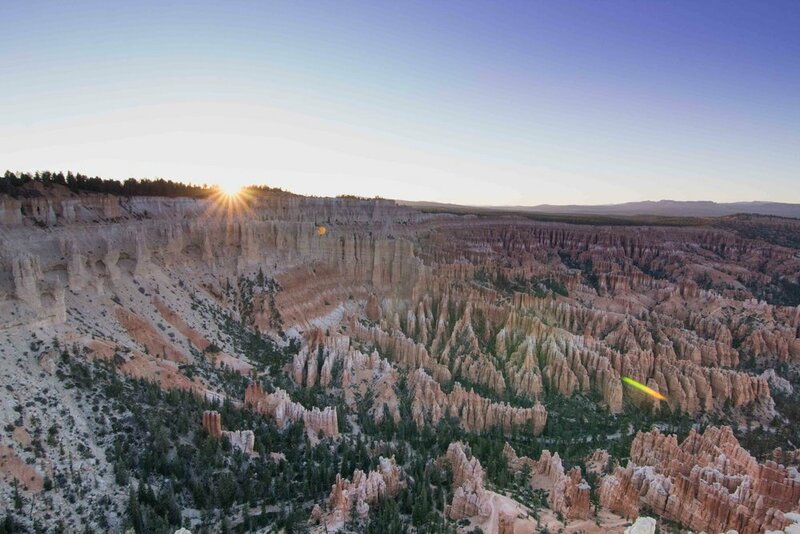 We hoped in our lunar rover and headed to the Bryce Overlook viewpoint for sunset. 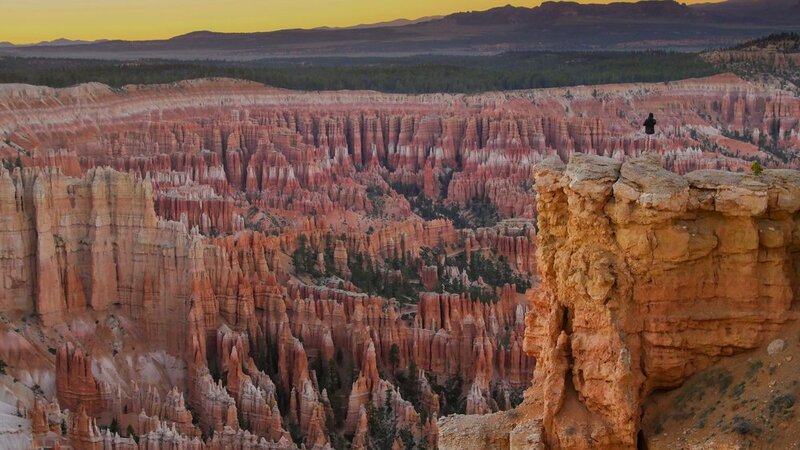 Bryce Canyon is the Grand Canyon’s younger smaller hippie brother. 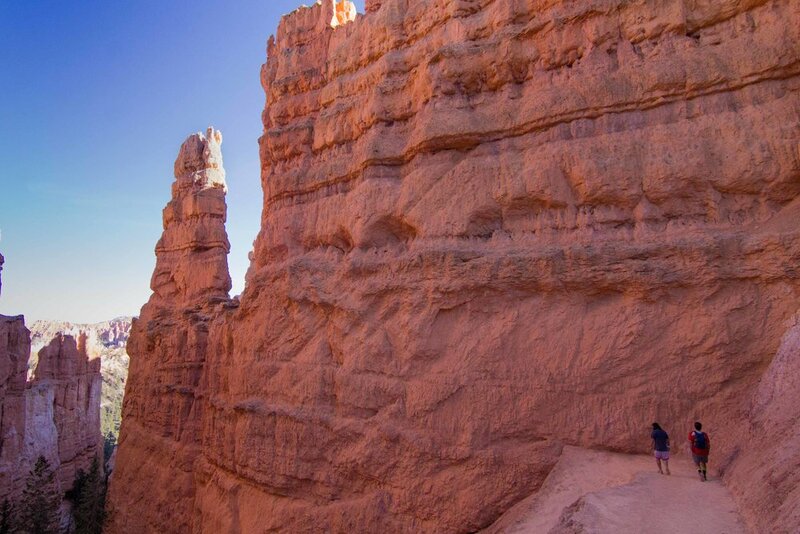 This place has some of the most interesting and trippy hoodoo rock formations in the US. 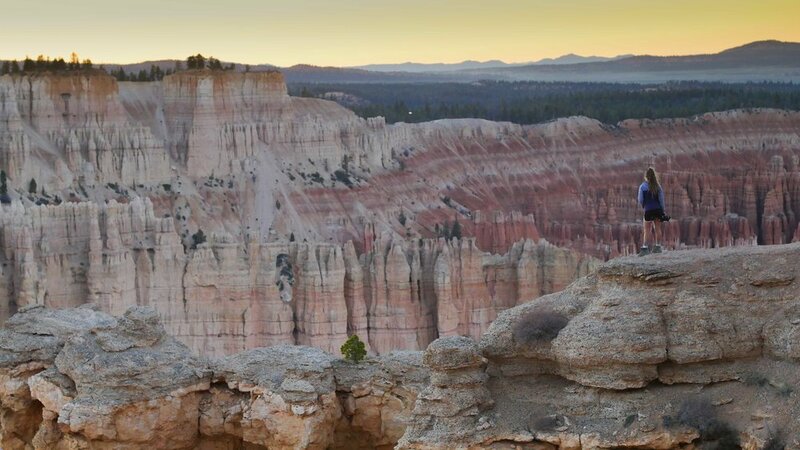 Bryce Canyon would be an amazing place to do some backcountry camping and we wished we were more prepared with permits and such to partake in what must be an incredible experience. From Bryce, we originally set sights on the Grand Canyon North Rim, but the park wasn't open yet. So, we decided to go off a hot tip from another traveler and check out a road less traveled. 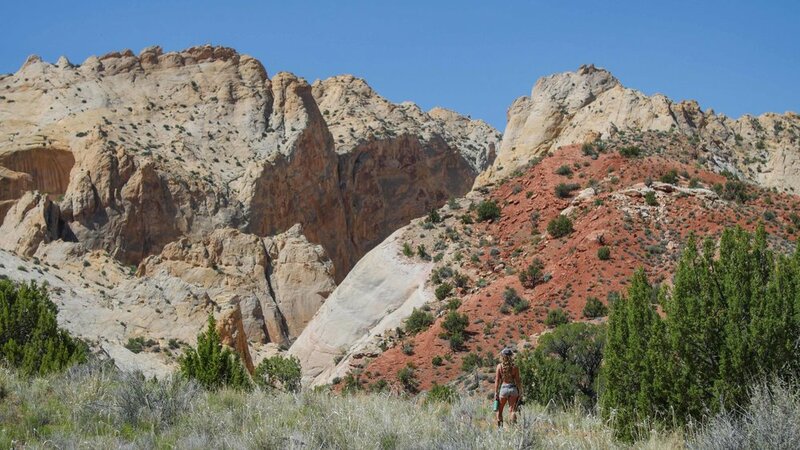 The Burr Trail is in the Escalante Grand Staircase National Monument and is a road that access some amazing opportunity for freedom camping in areas. The strips of pastel pinks, whites, and, reds confirmed that we were in Jupiter’s orbit. We were sucked straight into the this landscape as if we were imbedded into a transcendentalistpainting. We first headed to Kiva Koffeehouse before we headed to Calf Creek Falls. We highly recommend checking out this little gem of a cafe with amazing views of the Escalante River Valley. The trail to Calf Creek Falls is easy and along the valley. It’s an awesome little hike and the waterfall is like an oasis in the desert. We camped in the BLM land along the Burr Trail overlooking Long Canyon. The next day we headed out on one of the more scenic drives of the trip along the Burr Trail. We stopped along the way to witness thunderstorms sweep across the desert landscape. Originally, as we set out that day, we felt like going deep into the belly of the desert. We set out for a pin on the map to put the Jeeps 4x4 to the test. We set out for Moody Canyon with a stop at the Wolverine Petrified Forest. The journey out to Moody Canyon is a long one and you could possibly go a few days without seeing anyone in certain times of the year. With the being said, I would advise to have emergency food/water and a back up batter charger or way to jump your car if you needed to. We found an amazing campsite overlooking Moody Canyon. The road was easily manageable in the Jeep, but wouldn't be possible in a camper van. We were isolated out on the desert and it felt amazing. We cooked and enjoyed a moonlit campsite. 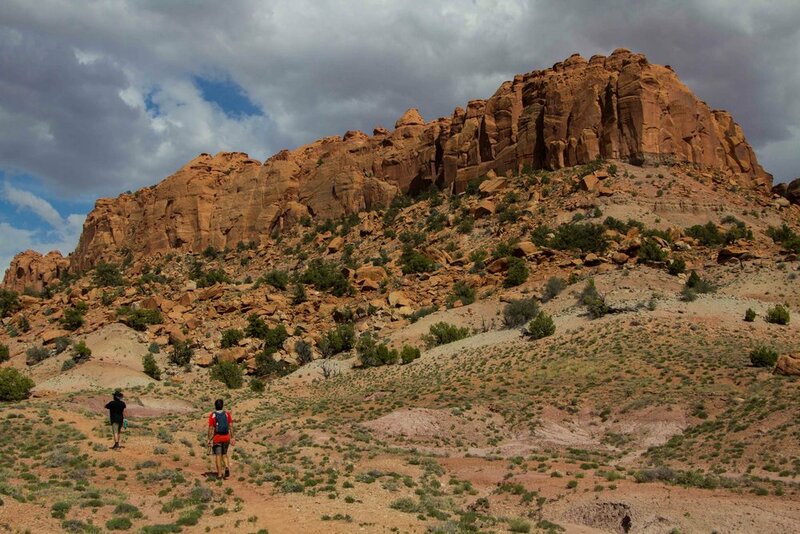 We jetted out early in the morning so we could enjoy a few activities in the Capitol Reef National Park before we headed toward the Utah/Colorado border for the night. 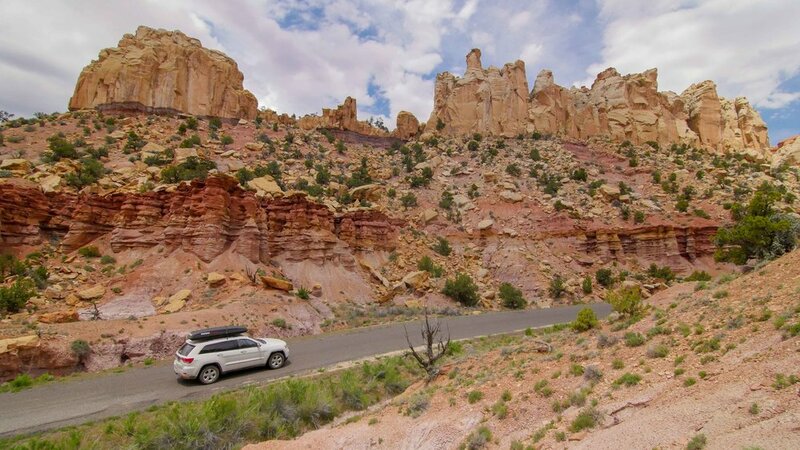 The drive through Capital Reef is pretty spectacular on its own. We wished we had planned better and spent some more time in this area. We randomly stopped and did the hike as far as we could up Surprise Canyon. I would recommend this to anyone looking for a quick day activity while heading down south along the Burr Trail. We made breakfast in the parking lot at Surprise Canyon and headed out to catch out ferry across Lake Powell in the Glen Canyon National Recreation Area, which we our America the Beautiful pass worked for! We enjoyed a quick swim at Stanton Creek, near Bullfrog before we caught our ferry which was a reasonable $20. Thanks to a mixture of freecampsites.net and WIkiCamps, we found the most incredible campsite at Muley Point overlooking the San Juan Goose Necks. We watched a massive lightning storm roll through Monument Valley with enough charge to make all the hair on our heads stick straight up into the air. We got in late had inclement weather. So, we set up camp and fell asleep. From Muley Point, you can head through Monument Valley which is only 20 miles away and head down into Arizona or you can head into Colorado and one of my favorite mountain towns Durango. Dani and I have family in Durango. So, we enjoyed relaxing and catching up. Omar got sick. So we returned to Albuquerque, after a year and a half of being abroad. Our original plan included one more stop at Bisti Badlands for a few nights but we lost our captain to a stomach bug.